The Eastern Partnership Civil Society Forum (EaP CSF) Steering Committee reacted to an appeal drafted by the Moldovan National Platform, pointing to a worsening state of affairs in the country – listing numerous symptoms of state capture and money-laundering, which have become rampant in the last few years. 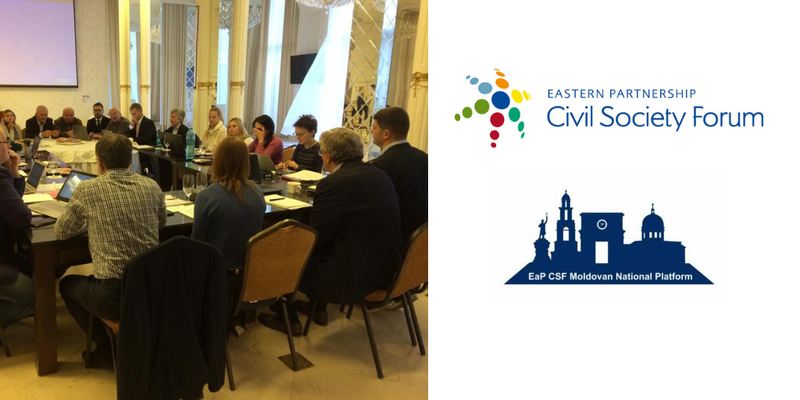 The reaction comes after EaP CSF Steering Committee reconvened in Chisinau, Moldova on 2-5 October, coinciding with a number of advocacy meetings with members and local activists, including those active in the opposition. Quoting the original appeal, EaP CSF Steering Committee is alarmed to see an escalation of the problem in Moldova, ever more evident after the annulment of the Chisinau local elections earlier this year. “State capture“, we read, “accurately defines the situation” in Moldova – where an “oligarchic group has taken control of the economy, the legislature and justice system, the mass media and electoral system“. The signs from the ground are not optimistic, warns EaP CSF Steering Committee, which is increasingly worried about the upcoming national elections, scheduled for February 2019. In the statement, EaP CSF Steering Committee cautions European stakeholders: “this is not purely a local matter, but one that has an international dimension“. Again, drawing reference to the Moldovan National Platform’s appeal – which painstakingly lists the instances of ill-governance and money-laundering, EaP CSF Steering Committee points that the current situation “undermines the financial system in Europe“. In facilitating, or at best, tolerating these practices, Moldovan authorities are guilty of turning the country into “a major money-laundering centre“, with repercussions for the “post-Soviet space and elsewhere“.